Ridler, Jason. "Battle of Mississinewa River". The Canadian Encyclopedia, 04 November 2016, Historica Canada. https://www.thecanadianencyclopedia.ca/en/article/battle-of-mississinewa-river-war-of-1812. Accessed 24 April 2019. The first significant American, and perhaps First Nations, victory of the War of 1812, the Battle of Mississinewa River was a reprisal action against the Miami Nation villages in December 1812. The first significant American, and perhaps First Nations, victory of the War of 1812, the Battle of Mississinewa River was a reprisal action against the Miami Nation villages in December 1812. The actions were taken in response to Aboriginal attacks on American settlements at Fort Wayne and Fort Harrison in the Indiana territory. Of all the troops the Americans faced in the War of 1812, none were more feared than the First Nations warriors. Experts at raids and guerrilla warfare, Aboriginal troops added terror to their mix of tactics and were growing in number and strength on the British side. September 1812 saw First Nations incursions into southern Indiana at the Pigeon Roost settlement, resulting in 20 American deaths. On 6 September 1812, Aboriginal forces attacked Fort Wayne but were repelled. US General William Henry Harrison, commander of the Northwestern Army, decided it was time to take the fight to the Native Americans on their own ground. After securing permission from the secretary of war, Harrison ordered Lieutenant Colonel John B. Campbell to go with the expedition into Mississinewa. 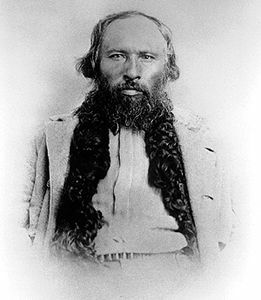 Harrison believed Mississinewa was a rendez-vous point where Aboriginal forces could resupply for further attacks in Ohio between St. Mary's and the Miami Rapids. Campbell was given orders not to hurt the Aboriginal leaders, if at all possible, for fear of dire reprisal. He was also ordered to save the women and children from harm so they could be "resettled" in Ohio. In early November, Campbell assembled his men in Ohio, roughly 600 mounted troops, a mix of mounted infantry, Dragoons and Kentucky volunteers, and made for Fort Greenville to prepare their next move. In knee-high snow and harsh winter cold, they marched out of Fort Greenville on 14 December. The adverse conditions were considered excellent for crossing frozen streams and hiding their movement from the First Nations, but neither Harrison nor Campbell gave as much consideration to the effect on the soldier cutting his way through the drifts. Led by an Aboriginal guide, they marched almost all day and night until they found their first objective, the village of Aboriginal leader Silver Heel, located on the banks of the Mississinewa. But the Americans were discovered before they could unleash their surprise attack, and the Aboriginal warriors in the village fled. As the American forces encamped, a stray soldier was killed on the outskirts by a First Nations bullet. Two more villages were sacked, with dozens of Aboriginal people killed or taken prisoner, as Campbell and his men rode hard into the cold winter. Fear of frostbite, which could cripple the expedition, had Campbell reconsidering the advisability of continuing the fight. When they returned to Silver Heel's village on 17 December, a greater threat than frostbite emerged. Three hundred Aboriginal warriors unleashed a counter attack to retake the village, reclaim their winter stores and rescue their imprisoned families. The northern redoubt of the village was retaken by the Aboriginal troops in harsh fighting. The "Bourbon Blues" unit from Kentucky was in the thick of the fighting, which included hand-to-hand combat between war hawks and bayonets. Campbell pulled in some reserve units to give the main attack more firepower. Soon, the Aboriginal warriors were outnumbered and on the defensive, and as it became clear their initial assault would not dislodge the Americans, they began a retreat. 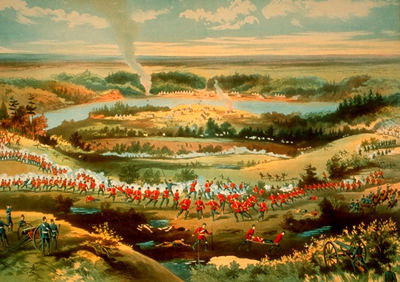 Campbell ordered a joint cavalry charge by two captains, Johnston and Trotter, to ensure the Aboriginals were routed. According to one participant, few actually listened to Campbell's order and after the initial charge the pursuit of the Aboriginal troops was meek. Still, the Battle at Mississinewa River was a harsh hour of gunfire and bloodshed that resulted in eight dead and 48 wounded on the American side. Forty-eight Aboriginal warriors were killed and dozens more were captured or taken prisoner. After taking Silver Heel's village, Campbell debated the value of pursuing any further expeditions on Miami villages, his main objective being nearly 30 km ahead. When the battle was done, Campbell was told by one of his captives that Shawnee war chief Tecumseh was close by and headed toward Silver Heel's village with 100 more men. With his men already succumbing to the harsh conditions, more than 100 of his own horses dead, and with stores of gunpowder dwindling, Campbell ordered his men to return to Fort Greenville. With so many horse casualties, many made the journey on foot, including the wounded. Added to this burden was the requirement to return with Aboriginal captives. The result was a slog, in frigid temperatures, both hellish and slow. Campbell ordered that Aboriginal ponies be used for Aboriginal prisoners, earning him scorn from his men who thought of the livestock as war booty. But these Aboriginal prisoners might have been the only thing keeping the troops safe from reprisal; with the possibility of Aboriginals on their trail, Campbell had got the word out that their prisoners would be harmed if his men were attacked. On the verge of starvation, Campbell's men were saved by reinforcements brought by Captain Adair, and they successfully returned to Fort Greenville. 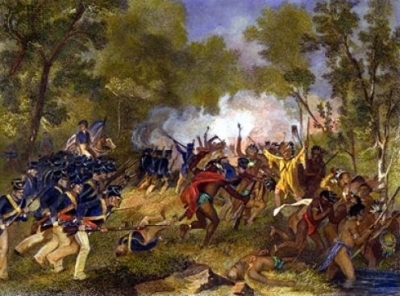 Campbell had lost 60% of his unit's strength as casualties to war or weather, and while Campbell's men had shown courage and skill in defending their position, they did not seriously cripple the Aboriginals' ability to wage guerrilla war in the region; thus it was a partial victory for the Miami tribes as much as for the Americans.